Expert speakers at this year’s JPM Healthcare Conference disagreed in their optimism for capital markets and M&A in 2019. While some predicted M&A levels will continue, especially around perennial oncology and orphan targets, others predicted a stifling effect and lower valuations caused by recent poor returns on investment, and the backlog of initial public offerings (IPOs) following the reopening of the federal government. If 2019 turns out to be subdued for capital markets, this is not all bad news for CMOs. Outsourcing is much more embedded in the bio/pharma industry than in previous downturns, and cost-cutting among sponsor companies may well lead to more service contracts, experts said. “The industry and capital markets are turbulent but great ideas will get funded,” said fellow speaker Barbara Ryan, founder, Barbara Ryan Advisors, and former managing director at Deutsche Bank. M&A levels will continue in 2019, said Eric Aguiar, partner, Aisling Capital, speaking at another JP Morgan panel, “The Financing Frenzy: Is It Truly the Best of Times?” on January 8. Similarly, speaker Philippe Lopes-Fernandes, senior VP, global head of business development and alliance management, Merck KGaA (Darmstadt, Germany), predicted more M&A based on the Celgene and Loxo mega-deals. Notwithstanding two “mega-mergers” in 2018—those of Celgene (Summit, NJ, US) by Bristol-Myers Squibb Co. (New York, NY, US), and Loxo Oncology (Stamford, CT, US) by Eli Lilly (Indianapolis, IN, US)—industry predictions of a greater wave of mega-mergers did not come true, noted Ryan and Gabriel Cavazos, managing director, Leerink Partners (owned by Silicon Valley Bank). This is despite larger bio/pharma having lots of cash due to the recent US tax reform that reduced the corporate tax rate and the repatriation of overseas cash reserves. Mergers and acquisitions between companies with manufacturing capacity will allow companies to sell spare captive capacity to contract manufacturing organisations, according to the PharmSource report CMO Scorecard: Outsourcing of NDA Approvals and CMO Performance – 2018 Edition (April 2018, GDPS0020MAR). Kimberly Ha, CEO and founder, KKH Advisors, and former editor of BioPharm Insight (now owned by GlobalData), told the “Financing Frenzy” panel she has seen investor fatigue in the CAR-T cell therapy space “in the last 12 months,” ceding to interest in new types of advanced therapy medicinal products in the immunotherapy space. This promise of continued opportunity for the limited number of CDMOs in the cell therapy supports the findings of the PharmSource trend report, Cell Therapy Market Opportunity for CMOs – 2018 Edition. Growth in the last couple of years may have inflated transactions beyond their true value, according to James Sabry, global head, pharma partnering, Roche (Basel, Switzerland), who told the “Booming Biotech” panel, “We have been in an upcycle economically and technologically for the last five years.” Meanwhile, return on investment (ROI) for bio/pharma R&D has been decreasing, he said. This poor ROI was driven by attrition of products in the clinical pipeline, according to the according to the Deloitte report Unlocking R&D Productivity: Measuring the Return from Pharmaceutical Innovation 2018 which used revenue forecasts and industry benchmarks generated by GlobalData. If company valuations decrease in future, this could allow more M&A activity for both bio/pharma companies and CMOs. For a better understanding of recent trends in the premiums paid, see the recent Trend Report, M&A in the Contract Manufacturing Industry Implications and Outlook – 2018 Edition (GDPS0024MAR). Camille Samuels, partner at the venture capital (VC) firm Venrock, told the “Booming Biotech” audience that as bio/pharma companies enter more straitened circumstances, they will restrict their development programmes to only the lead products, to the detriment of secondary and tertiary pipeline products. This will reduce clinical trial volumes and bring less business to CDMOs involved in clinical manufacturing. Samuels was clear to point out that Venrock was in a capital-rich position because of recent portfolio company IPOs, and would be able to buffer the effects of any problems in the capital markets for its portfolio companies. The role of CDMOs and CROs in drug development is more prevalent now than in the economic downturn of 2008. Sabry pointed out that previously there was no place for cost-cutting bio/pharma companies to outsource drug development. Now, the bio/pharma industry has a better infrastructure to more efficiently use contract services instead of building its own capabilities, agreed Pappas. Eric Aguiar mentioned that there are now “larger pools of capital from Asia and the Middle East available as alternatives” to traditional sources of capital. Ha said the Hong Kong and Shanghai stock markets grew in 2018, especially in the bio/pharma space. The Shanghai market is of special interest because the Chinese government has proposed a registration-based IPO system for high-tech companies including biotechs, and will relax requirements for three-year track record profitability. This change will give the market a freer hand in public listings, rather than the securities regulator. This reform is not much of a concern for Chinese CMOs and generic companies with excess capacity as they are already likely to be profitable. But it will provide an opportunity for start-up bio/pharma with pre-profitable assets looking to list in China. Ha cautioned that there are significant differences in the estimates of value between investors in Asia and investors in the US even among different divisions of the same investment bank. There is a limit to bio/pharma expertise in Hong Kong and Shanghai financial markets, which will limit the number of deals made, she explained. Ha reminded the JP Morgan audience of aspiring bio/pharma companies that to raise money in China, an offering must have a Chinese angle, and advisors cannot manufacture one solely for financing purposes. Ha predicted that Chinese companies will also start acquiring in other markets. This could lead to the emergence of international CMOs from China, following the example of WuXi Apptec (Shanghai, China). 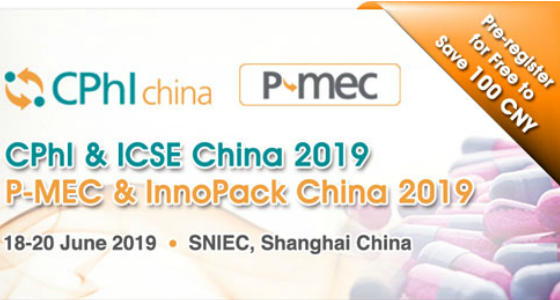 Many smaller CMOs are already involved in the Chinese market (PharmSource EMOR, December 2018). Several speakers commented on the role of the political climate on the capital markets. Lopes-Fernandes was less certain of whether the IPO market will stay as strong as the M&A market over the next year. Initial public offerings in the US require a Securities and Exchange Commission signoff, and this signoff is impossible during a government shutdown. Although the federal shutdown ended on January 28, 2019, Lopes-Fernandes said investors are concerned that there will be a glut of IPOs when the market reopens, causing problems in valuation.